Judy is a UCF Connect Librarian at the Valencia Osceola Center. 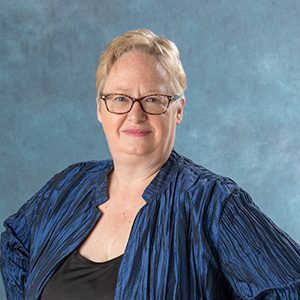 She provides reference services to UCF and Valencia students, library instruction online and face to face, and collection development for the Valencia Osceola Library and the School of Social Work. She received an M.S.I.S with a concentration in Library and Information Sciences from the University at Albany in 2007 and a Bachelor of Arts in History from SUNY New Paltz in 2005. Judy enjoys learning about new technologies and software applications, reading mysteries, and watching British TV and movies.